How to display your products to attract more customers? Only you need is just a Exquisite props. Our factory set up a professional team to solve the customers' problem of products display. This Belt Buckle Counter Display Case has 2 grids, we use high quality timber with spray lacquer. Glue black belvet on the bottom achieves the anti-slip effect. 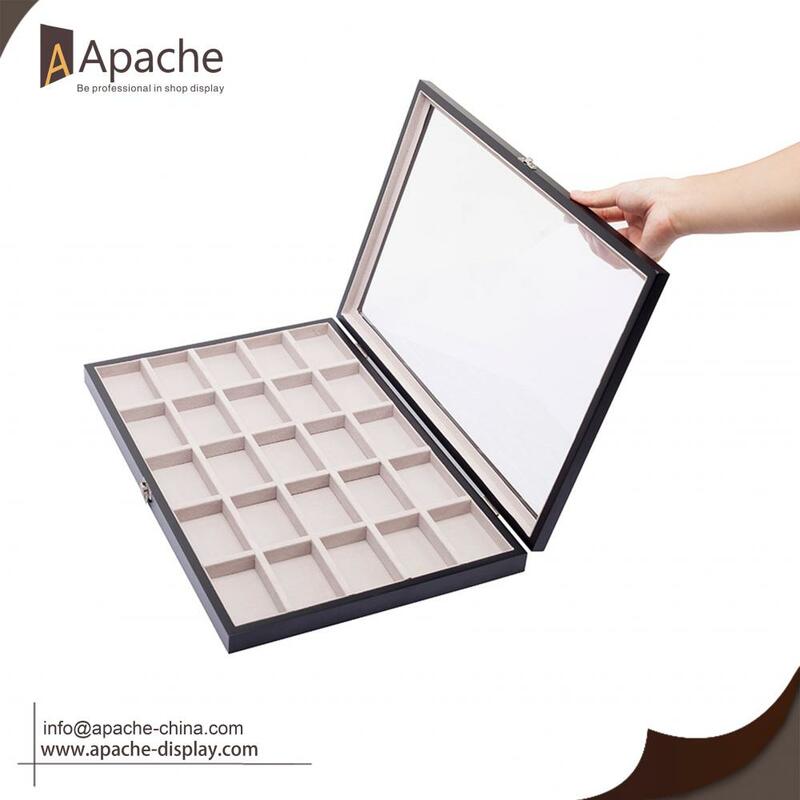 Frame structure design make this display case fashion and simple. Dull polish stainless steel hinge is more durable.The clear acrylic top cap can display the Belt Buckle better. 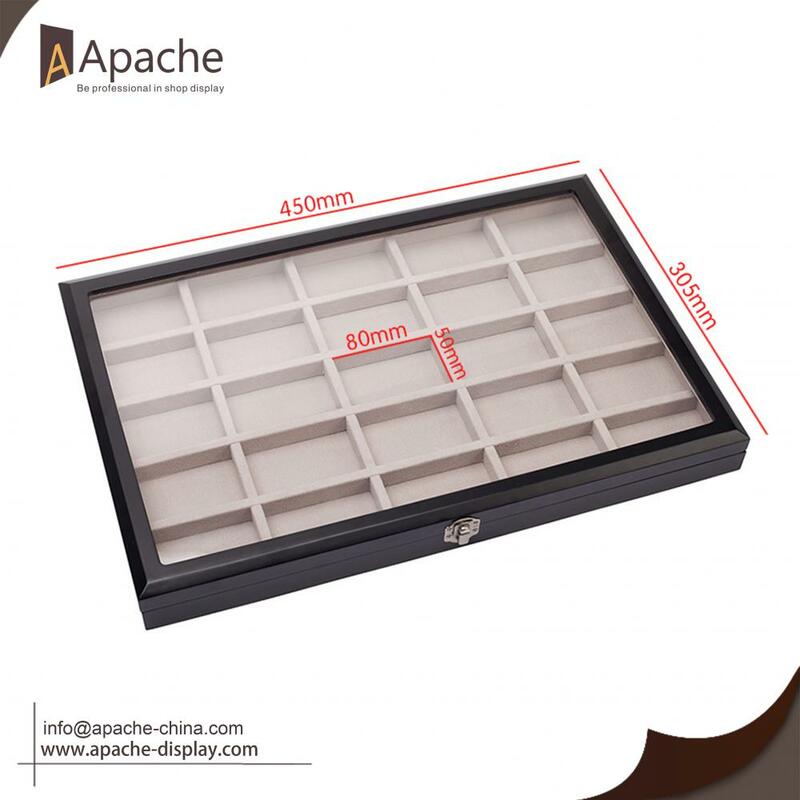 Looking for ideal Belt Buckle Counter Display Manufacturer & supplier ? We have a wide selection at great prices to help you get creative. 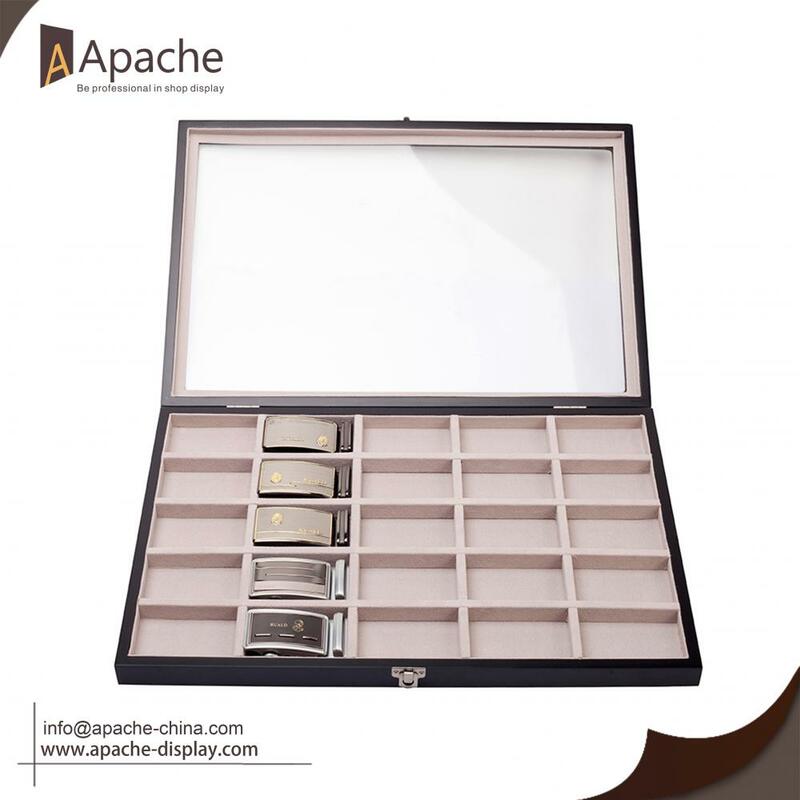 All the Belt Buckle Display Case are quality guaranteed. We are China Origin Factory of Grid Belt Buckle Display. If you have any question, please feel free to contact us.